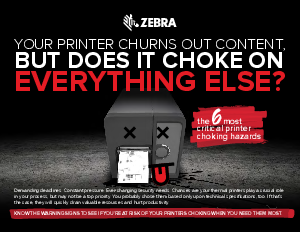 > Zebra Technologies > Overcome thermal barcode printers that choke on the job, with the facts and tips in this free brief. Most barcode printers are designed around only speeds and feeds. But are yours smart enough to keep pace with the evolution of technology? Or are they outdated and out of touch?